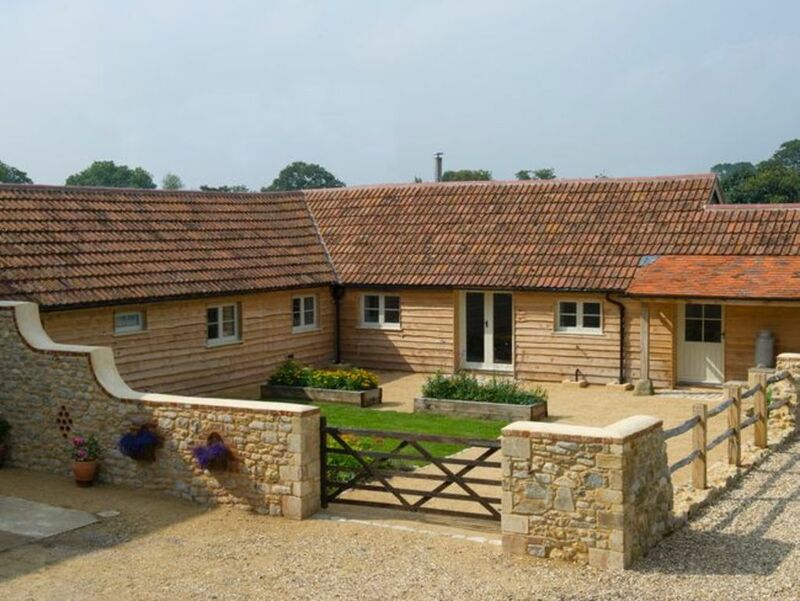 This property enjoys a tranquil location on the owners farm in the heart of the Dorset countryside. A mile from the property the village of Hazelbury Bryan has a welcoming pub which is perfect for when guests fancy a night off cooking. Ten miles to the north-west of the property the town of Sherborne makes for a lovely day trip with its two castles and imposing abbey which was founded in AD 705. Fifteen miles to the south meanwhile is the town of Dorchester which has a surprising number of unusual attractions including a Tutankhamun museum a Teddy Bear museum and a Terracotta Army exhibit as well as a good range of shops tea rooms and pubs. Other attractions within easy reach of the property include the Fleet Air Arm Museum the town of Glastonbury with its atmospheric abbey ruins and the beaches of the Jurassic Coast which lie 23 miles south of the property. Guests approach this stylish property through the walled garden from where the front door opens onto the impressive open-plan lounge/kitchen/diner with its beamed ceiling and contemporary Scandinavian feel. A large dining table occupies the centre of this space a perfect spot for lingering over long meals and enjoying one another s company. The lounge area has two comfortable sofas a TV/DVD and a wonderfully warming wood burner which ensures that the property retains a lovely cosy feel even on the coldest of winter days. At the far end of the room the kitchen area is well-equipped offering an oven hob microwave and dishwasher whilst the fridge/freezer and washing machine can be found in a separate utility room. Moving through to the sleeping accommodation there are three bedrooms all of which act as fine examples of the owners thoughtful attention to detail and all benefitting from their own TV and bathroom facilities. Two of these are king-size rooms the first of which has an adjacent bathroom with shower-over-bath and WC whilst the second bedroom boasts an en-suite shower room with WC and can be made up as a twin room on request. The third bedroom is a pleasant twin room which has an en-suite shower and WC. There is also a convenient cloakroom with a WC. Guests should be aware that there are some low beams in the property and therefore some reduced head-height in places. To the front of the property there is a delightful walled garden which is partially set to lawn and has a gravelled seating area with garden furniture and a BBQ. Guests also have exclusive use of a private wildflower meadow which is a wonderful place for a walk or for children to burn off some energy! There is ample parking.